Peripheral artery disease (PAD) is associated with altered gait biomechanics. No previous research study has investigated the effect of activity on muscle activation in individuals with PAD. The purpose of this study was to investigate the effect of PAD on muscle activation in response to a ten-minute walking task. METHODS: Ten healthy young adults, ten healthy older adults and ten individuals with PAD performed a ten-minute treadmill walking trial at a self-selected velocity. Surface EMG was recorded from the vastus lateralis and medial gastrocnemius during five steps in the first and tenth minutes of the walking trial. EMG signals were rectified and smoothed using the root mean squared (RMS) with a 20 ms smoothing window. Peak RMS EMG and median frequencies (MdF) were calculated. Mixed-model ANOVAs with Tukey’s post-hoc was used to determine effects of group and activity on peak RMS EMG and MdF. RESULTS: PAD was associated with significantly greater reductions in MdF of the vastus lateralis compared to healthy young and healthy older adults. No significant differences were observed in peak RMS EMG. DISCUSSION: PAD is associated with exaggerated rates of fatigue in the quadriceps but not the gastrocnemius. Efficacy of evidence-based therapeutic interventions should be further investigated. 2. Becker G.J., McClenny T.E., Kovacs M.E., Raabe R.D., Katzen B.T. The importance of increasing public and physician awareness of peripheral arterial disease. J Vasc Interv Radiol. 2002; 13 (1): 7–11. 3. Bice M.R., Hanson N.J., Eldridge J., Reneau P.D., Powell D.W. Neuromuscular adaptations in elderly adults are task-specific during stepping and obstance clearance tasks. Int J Ex Sci. 2011; 4 (1): 278–286. 4. Brass E.P., Hiatt W.R., Green S. Skeletal muscle metabolic changes in peripheral arterial disease contribute to exercise intolerance: a point-counterpoint discussion. Vasc Med. 2004; 9 (4): 293–301. 5. Celis R., Pipinos I.I., Scott-Pandorf M.M., Myers S.A., Stergiou N., Johanning J.M. Peripheral arterial disease affects kinematics during walking. J Vasc Surg. 2009; 49 (1): 127–132. 6. Chen S.J., Pipinos I.I., Johanning J., Radovic M., Huisinga J.M., Myers S.A., Stergiou N. Bilateral claudication results in alterations in the gait biomechanics at the hip and ankle joints. J Biomech. 2008; 41 (11): 2506–2514. 7. Crowther R.G., Spinks W.L., Leicht A.S., Quigley F., Golledge J. Intralimb coordination variability in peripheral arterial disease. Clin Biomech. 2008a; 23 (3): 357–364. 8. Crowther R.G., Spinks W.L., Leicht A.S., Quigley F., Golledge J. Lower limb movement variability in patients with peripheral arterial disease. Clin Biomech. 2008b; 23 (8): 1080–1085. 9. DeVita P., Hortobagyi T. Age causes a redistribution of joint torques and powers during gait. J Appl Physiol. 2000; 88 (5): 1804–1811. 10. Eldadah B.A. Fatigue and fatigability in older adults. PM R. 2010; 2 (5): 406–413. 12. Gardner A.W., Montgomery P.S. Impaired balance and higher prevalence of falls in subjects with intermittent claudication. J Gerontol A Biol Sci Med Sci. 2001; 56 (7): M454–458. 13. 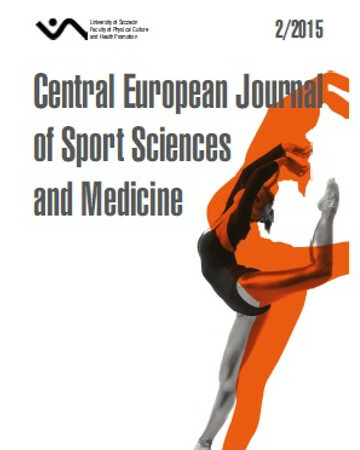 Gasparini M., Sabovic M., Gregoric I.D., Simunic B., Pisot R. Increased fatigability of the gastrocnemius medialis muscle in individuals with intermittent claudication. Eur J Vasc Endovasc Surg. 2012; 44 (2): 170–176. 15. Hortobagyi T., DeVita P. Muscle pre- and coactivity during downward stepping are associated with leg stiffness in aging. J Electromyogr Kinesiol. 2000; 10 (2): 117–126. 16. Hortobagyi T., Mizelle C., Beam S., DeVita P. Old adults perform activities of daily living near their maximal capabilities. J Gerontol A Biol Sci Med Sci. 2003; 58 (5): M453–460. 17. Huisinga J.M., Pipinos, I.I., Johanning J.M., Stergiou N. The effect of pharmacological treatment on gait biomechanics in peripheral arterial disease patients. J Neuroeng Rehabil. 2010a; 7: 25. 18. Huisinga J.M., Pipinos, I.I., Stergiou N., Johanning J.M. Treatment with pharmacological agents in peripheral arterial disease patients does not result in biomechanical gait changes. J Appl Biomech. 2010b; 26 (3): 341–348. 19. Koopman J.P., de Vries A.C., de Weerd A.W. Neuromuscular disorders in patients with intermittent claudication. Eur J Surg. 1996; 162 (6): 443–446. 20. Koutakis P., Johanning J.M., Haynatzki G.R., Myers S.A., Stergiou N., Longo G.M., Pipinos I.I. Abnormal joint powers before and after the onset of claudication symptoms. J Vasc Surg. 2010a; 52 (2): 340–347. 21. Koutakis P., Pipinos I.I., Myers S.A., Stergiou N., Lynch T.G., Johanning J.M. Joint torques and powers are reduced during ambulation for both limbs in patients with unilateral claudication. J Vasc Surg. 2010b; 51 (1): 80–88. 22. McDermott M.M., Fried L., Simonsick E., Ling S., Guralnik J.M. Asymptomatic peripheral arterial disease is independently associated with impaired lower extremity functioning: the women’s health and aging study. Circulation. 2000; 101 (9): 1007–1012. 23. McDermott M.M., Kerwin D.R., Liu K., Martin G.J., O‘Brien E., Kaplan H., Greenland P. Prevalence and significance of unrecognized lower extremity peripheral arterial disease in general medicine practice*. J Gen Intern Med. 2001; 16 (6): 384–390. 25. Myers S.A., Johanning J.M., Stergiou N., Celis R.I., Robinson L., Pipinos I.I. Gait variability is altered in patients with peripheral arterial disease. J Vasc Surg. 2009; 49 (4): 924–931 e921. 26. Myers S.A., Stergiou N., Pipinos I.I., Johanning J.M. Gait variability patterns are altered in healthy young individuals during the acute reperfusion phase of ischemia-reperfusion. J Surg Res. 2010; 164 (1): 6–12. 27. Nehler M.R., McDermott M.M., Treat-Jacobson D., Chetter I., Regensteiner J.G. Functional outcomes and quality of life in peripheral arterial disease: current status. Vasc Med. 2003; 8 (2): 115–126. 28. Perotto A.O., Delagi E.F., Iazzetti J. Anatomical Guide for the Electromyographer: the Lim and Trunk. Springfield, IL, Charles C. Thomas Pub. Ltd. 2005. 29. Pincus S.M. Approximate entropy as a measure of system complexity. Proc Natl Acad Sci U S A. 1991; 88 (6): 2297–2301. 30. Pipinos I.I., Judge A.R., Selsby J.T., Zhu Z., Swanson S.A., Nella A.A., Dodd S.L. The myopathy of peripheral arterial occlusive disease: part 1. Functional and histomorphological changes and evidence for mitochondrial dysfunction. Vasc Endovascular Surg. 31. Pipinos I.I., Judge A.R., Selsby J.T., Zhu Z., Swanson S.A., Nella A.A., Dodd S.L. The myopathy of peripheral arterial occlusive disease: Part 2. Oxidative stress, neuropathy, and shift in muscle fiber type. Vasc Endovascular Surg. 2008a; 42 (2): 101–112. 33. Powell D., DeVita P., Hortobagyi T. Inertial loading during gait evokes unique neuromuscular adaptations in old adults. Percept Mot Skills. 2008; 107 (3): 881–892. 34. Scott-Okafor H.R., Silver K.K., Parker J., Almy-Albert T., Gardner A.W. Lower extremity strength deficits in peripheral arterial occlusive disease patients with intermittent claudication. Angiology. 2001; 52 (1): 7–14. 35. Scott-Pandorf M.M., Stergiou N., Johanning J.M., Robinson L., Lynch T.G., Pipinos I.I. Peripheral arterial disease affects ground reaction forces during walking. J Vasc Surg. 2007; 46 (3): 491–499. 36. Stergiou N., Decker L.M. Human movement variability, nonlinear dynamics, and pathology: is there a connection? Hum Mov Sci. 2011; 30 (5): 869–888. 38. Watanabe K., Akima H. Neuromuscular activation of vastus intermedius muscle during fatiguing exercise. J Electromyogr Kinesiol. 2010; 20 (4): 661–666.